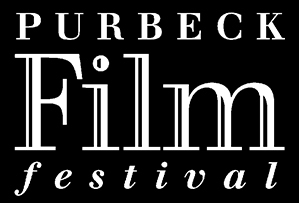 The Purbeck Film Festival is the longest running rural film festival and one of the largest coastal film festivals in the UK. It aims to bring a wide selection of thematically chosen films to entertain those within the community at large and especially those within Dorset. Things to see and do, places to stay, where to eat & drink – the definitive guide to everything about Purbeck and Dorset - from Discover Purbeck Information Centre. Launched in December 2000, Cinema Treasures is a groundbreaking website devoted to movie theater preservation and awareness. Utilizing the community-building capabilities of the Internet, Cinema Treasures unites movie theater owners and enthusiasts in a common cause—to save the last remaining movie palaces across the country. John Barclay is a writer, entertainer and performance poet based in Dorset, England. Deftly crafted pieces in styles to suit their subjects, his poems are dramatic rather than descriptive, in-your-face rather than introspective. Whether angry, moving, surreal, witty or daft, John presents them with charm and theatrical flair, proving that poetry has come out of the dusty bookcase into the real world, or at least the world of entertainment. A former Marks & Spencer speechwriter, in 2005 John brought out a collection of poems called 'The Blood of Others'. He has written plays, sketches, comedy material, song lyrics, newspaper articles and travel memoirs. He will soon be bringing out a book about a journey he made around the world without flying. One place in the area that you should definitely visit the village of Tyneham. Deserted since the Second World War, Tyneham is now of Purbeck's most popular tourist destinations.